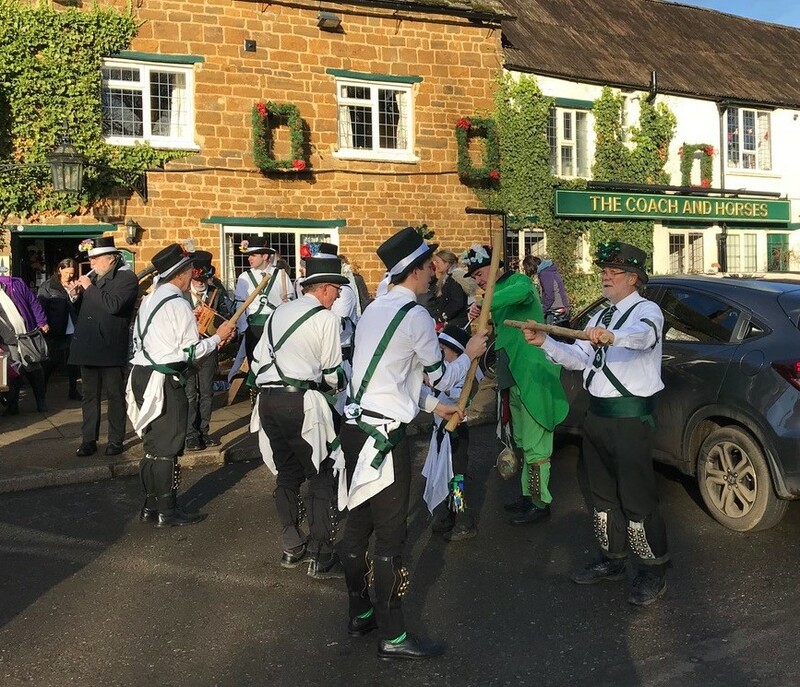 Eleven regular dancers and a brace of musicians gathered together on a cold but beautifully sunny day for the traditional Boxing Day gathering of Adderbury Village Morris Men. 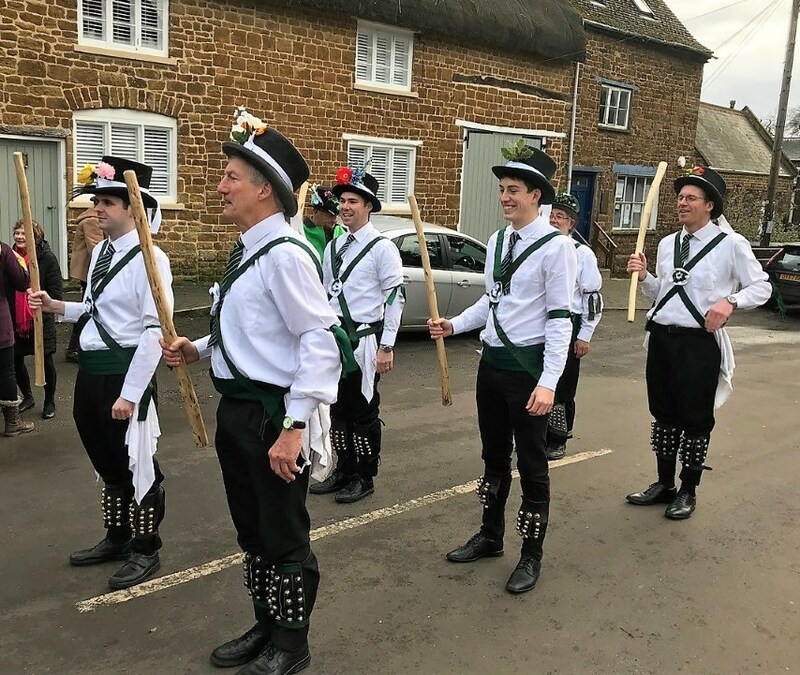 We entertained large crowds at the two best pubs in the village dancing for 45 minutes outside the Coach and Horses and then proceeded to The Bell to join the other two Adderbury sides who were coming to the end of their sets. It was good to welcome new recruit, Tommy, son of Squire John, who had benefited from the tutelage of Dave Reed in the intensive pre-Christmas coaching sessions arranged at the Tythe Barn. It was also pleasing to see our Fool Bryan, resplendent in his green outfit, Chris Garrett and grandson Alfie, and to welcome back Mark French after his mountaineering exploits in Nepal. Thanks to Chris Holmes for help with calling the dances and, as ever, to our musicians, Donald and Malcolm, without whom we couldn’t dance.